Mathematical Explorations follows on from the author's previous book, Creative Mathematics, in the same series, and gives the reader experience in working on problems requiring a little more mathematical maturity. 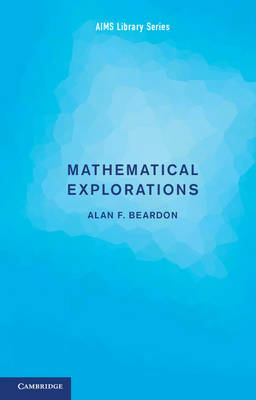 The author's main aim is to show that problems are often solved by using mathematics that is not obviously connected to the problem, and readers are encouraged to consider as wide a variety of mathematical ideas as possible. In each case, the emphasis is placed on the important underlying ideas rather than on the solutions for their own sake. To enhance understanding of how mathematical research is conducted, each problem has been chosen not for its mathematical importance, but because it provides a good illustration of how arguments can be developed. While the reader does not require a deep mathematical background to tackle these problems, they will find their mathematical understanding is enriched by attempting to solve them.